“First Responders Day is dedicated to raising awareness and support as well as celebrating and honouring Ontario’s 73,000 first responders who put their lives on the line to protect and enhance our communities,” said Holly Cox, manager of the Centre for Public Safety and Well-Being. 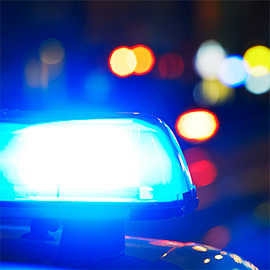 “Laurier believes that together with community members, organizations and our government, honouring First Responders Day is an expression of our sincere thanks and gratitude for the difficult job they do every day. “The women and men ‎of the SCS are uniquely positioned within the campus environment to not only respond to calls but to deploy strategic planning initiatives that enhance the overall community experience,” said Tammy Lee, director of the Special Constable Service.